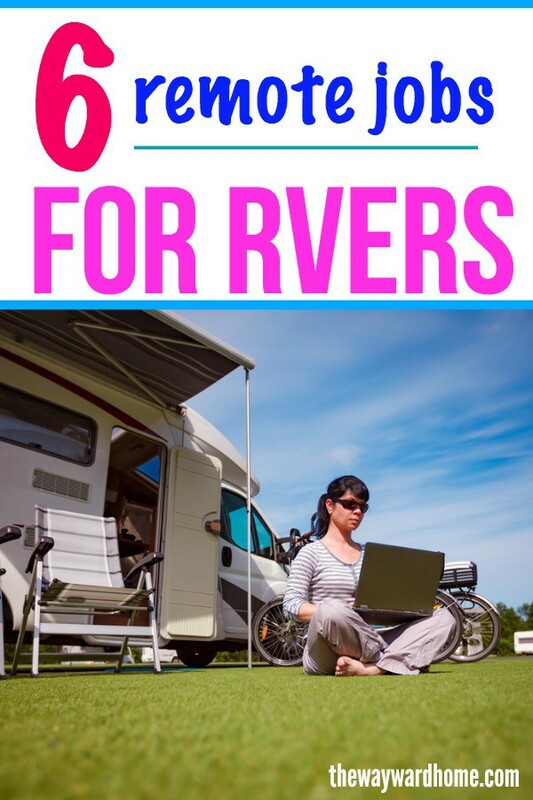 Michelle Schroeder-Gardner didn’t start out knowing how to make money blogging. She worked as a financial analyst a wanted to document her struggle to pay off student loans. So, in 2011, she started Making Sense of Cents, where she wrote about side hustles and odd jobs that helped her pay off thousands in debt. Also, she wrote about saving money on groceries, living minimally and with less. 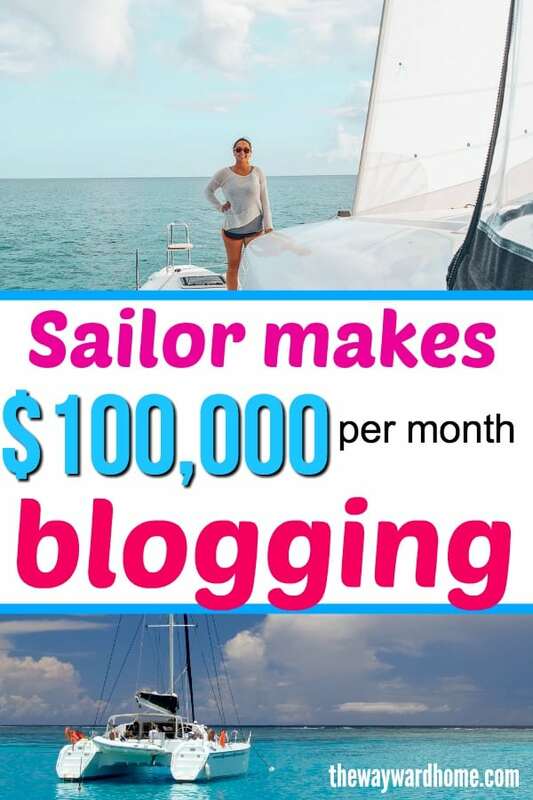 But shortly after she started her blog, a finance company offered her $100 to write a sponsored post. From then on, Michelle Schroeder-Gardner was hooked and vowed to learn all she could about making money blogging. In 2013, she was making enough from her blog to quit her full-time job and hasn’t looked back. Once Michelle was making good money blogging, she and her husband decided to sell their home and get rid of most of their stuff. 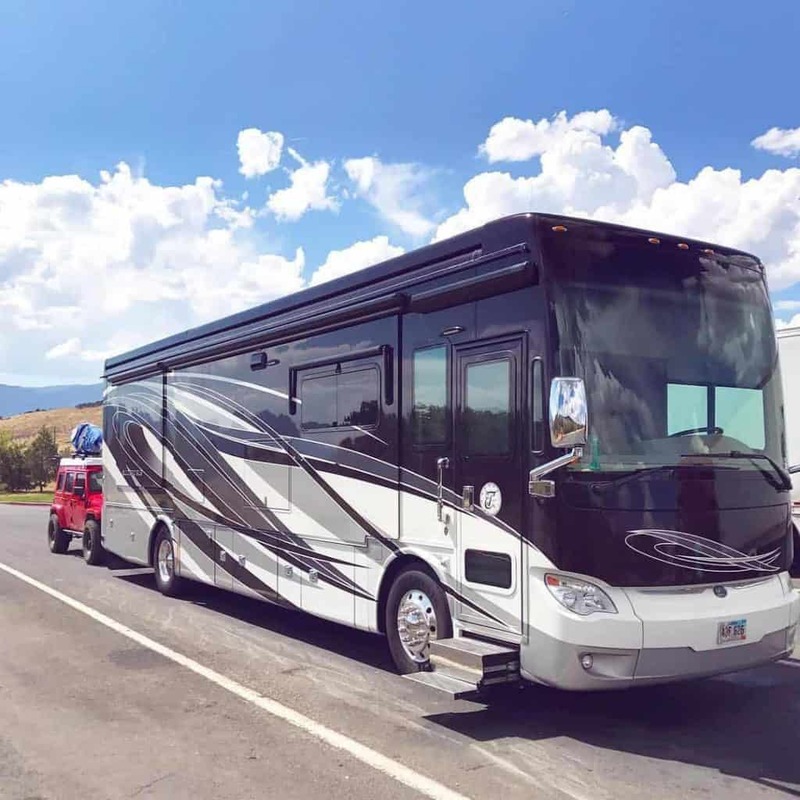 They bought a Class A motorhome and started traveling the United States while Michelle worked on Making Sense of Cents. She estimates she now only works on her blog about 10 hours per week, and hires the rest out to virtual assistants. 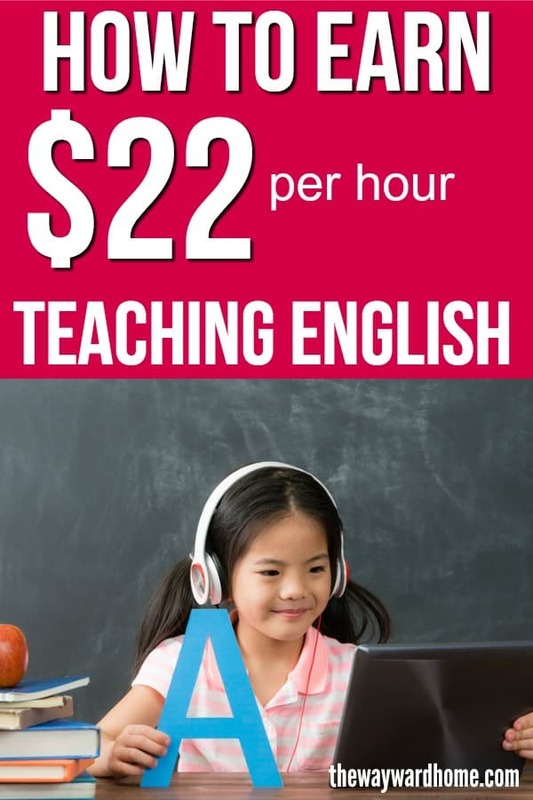 Amazingly, Making Sense of Cents brings in over $100,000 per month through a combination of affiliate marketing, sponsored posts, ad revenue and courses, like Making Sense of Affiliate Marketing. Michelle hit millionaire-status by her late 20s, and some people question why she’d want to live in a motorhome. She loves meeting new people and is one of many young people who’ve ditched the “normal” life for one of freedom and adventure. Through teaching people how to save and make money, Michelle hopes to create a “new normal” of being debt-free. She said it’s okay to have credit cards for the rewards points if you can pay them off every month. 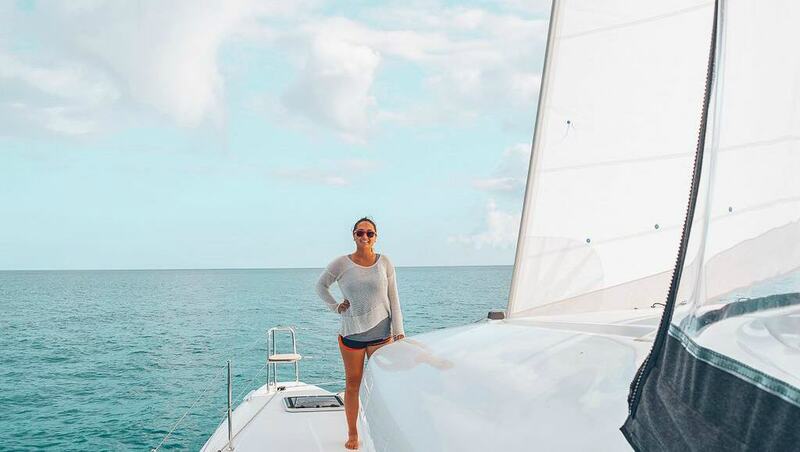 Long before RVing, both Michelle and her husband had dreams of living on a sailboat. 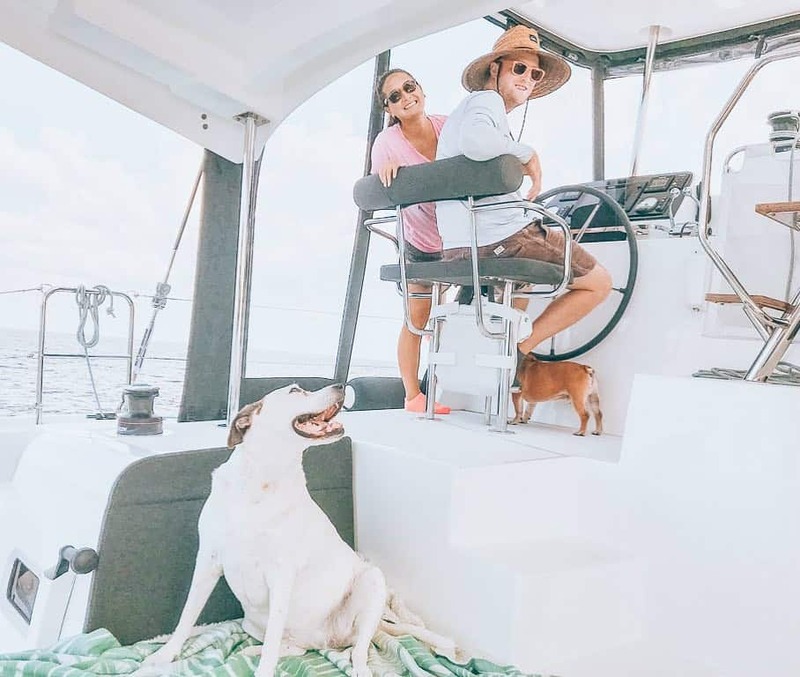 In 2018, they finally bought a beautiful catamaran sailboat and sold their RV. They learned to sail in Florida, and are now cruising the Caribbean. Now that Making Sense of Cents is making big money, Michelle’s goal is to be more present in life and enjoy traveling with her husband and dogs. Online businesses can take a lot of time and effort, and it’s easy to work 10 hour days and forget to be present and enjoy life. 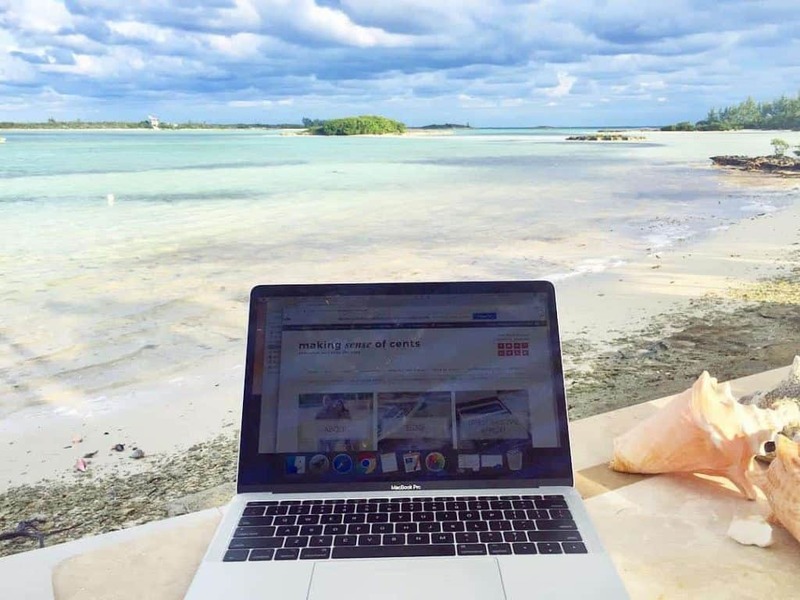 While blogging may sound like an easy way to make money and travel the world, Michelle said a lot of work goes into it. Running a blog is like running a business, and like any business, it takes time, effort, education and hard work. For now, Michelle has no plans to return to a “traditional” life of living in a house anytime soon. She loves being her own boss and a full-time blogger. Indeed an interesting read! I am inspired! Good for Michelle, she’s an inspiration 🙂 I will get here one day I know it! Hard work and perseverance! Hopefully one day I can get there! That’s super awesome! Wow, this is pretty inspiring. Seems like the life. Most people have to wait until they retire to try to have a life like this. Enjoy! Another incredible story. So many inspiring women out there. Thanks for sharing. Totally! I think it’s so cool she’s the breadwinner. I wish I could do that! Beautiful story! All inspiring and thanks for sharing! Michelle – you’re my hero 🙂 My wife and I just wrapped up a 2 year world expedition as our first mini-retirement and now we’re returning back to the work force so we can do it again in a few years. That said, I think your approach is the way forward, and I’d love to get a blog driving real revenue like you do. I’ve read tons on your website Making Sense of Cents, thanks for sharing.